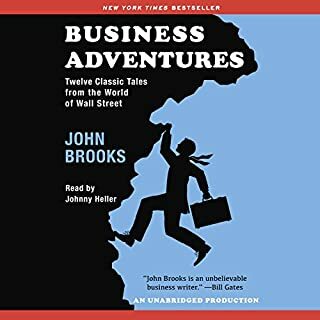 ©1940, 1955, 1995, 2006 Fred Schwed, Jr. Foreword © 1995 by John Wiley & Sons, Inc. Introduction © 2006 by Jason Zweig (P)2012 Audible, Inc. I am amazed at the accuracy of how brokers talk to clients and how little has changed in 80 years! Very good insight to know that if you invest with discipline you will be successful and you don't 'need' a broker and you CAN do it on your own. Great read for a novice like me! Very informational, yet entertaining. 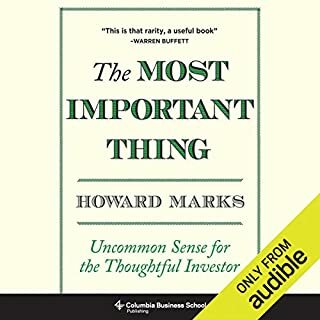 Before you go and lose money speculating in the market, please listen to this audio book. Funny and informative book. If you want investing book, this one is for you. Look at the mirror afterwards and see how you are loosing just like that. From the story to the performance... Fantastic! It's unbelievable that this book was written so long ago and yet still resonates today. This is a light-hearted, informative book about financial markets and investment. It provides timeless insight into behavioral finance. Get ready to smile! I expected the book to be a bit better. but ok, rather skip it . Very entertaining and insightful. Full of intelligent sarcasm. It appears that little has changed in Wall Street. Well, it's not surprising since we are still the same humans with the same behavior. 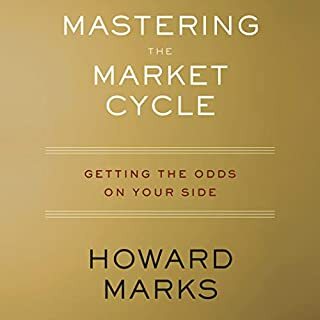 I loved the part when he depicts the way advisors decide what belongs to the customer after a trading day ends: "they throw all the dollars up, and whatever sticks to the ceiling, belongs to the client". Read it to see why the author would choose a crook and bright advisor vs an honest fool. Very funny and true! Where does Where Are the Customers' Yachts? 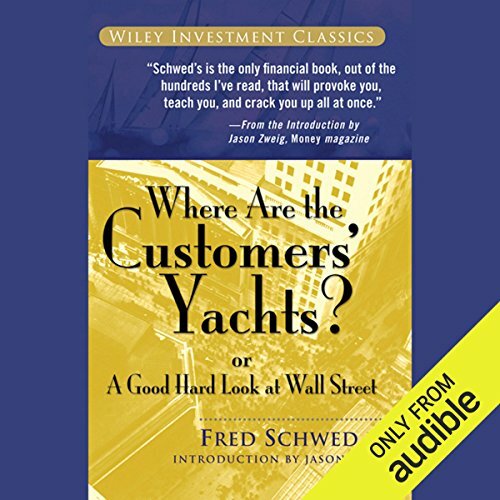 : or A Good Hard Look at Wall Street rank among all the audiobooks you’ve listened to so far? Top notch. Got to be in the top 5. What was one of the most memorable moments of Where Are the Customers' Yachts? : or A Good Hard Look at Wall Street? The most memorable moment, to answer this question, was where he talked about technical analysis. Comparing it to astrology. Which does seem to fit. Where the non banker asked the banker where all the customer's yachts were. 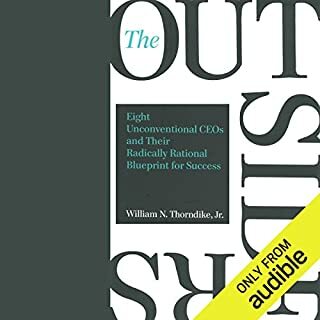 As this book will tell you, in the financial industry, the customer is at the very bottom of the totem pole. So skip all those BS artists, and just take matters into your own hands. You'll be better off. They're all just people who have dedicated their lives to mumbo jumbo, and have managed to convince the world that they're somehow respectable. If you could give Where Are the Customers' Yachts? : or A Good Hard Look at Wall Street a new subtitle, what would it be? "Stay away from the hoards of idiots and crooks in the financial industry." Excellent book. 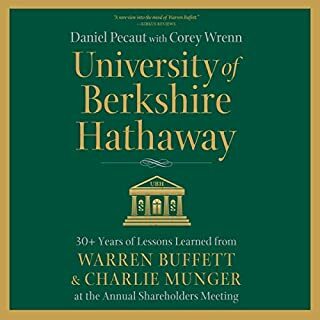 Warren Buffet said it was the very first book he read on finance at age 11. After reading it, you can tell he still subscribes to its tenants to this very day. After you listen to this audiobook, you'll understand why he says many of the things he says. fast, clear, funny...how much has not changed in wall st, or even with modern tech. the tomfoolery if market experts is, well, timeless. if you trade, you have to read this. Great perspective of the goings on of the financial industry. The essence of the book is that the "casino always wins". I need to agree entirely with the author. People never change. Especially working in this area described in this fantastic book. Thank you. This well-healed read, is funny and cynical, and that's what I like in a book. I couldn't put it down. 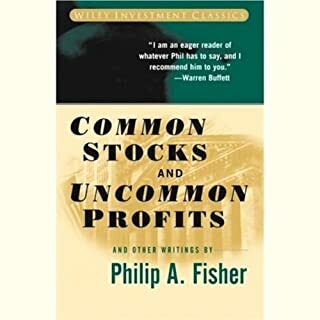 It is probably the book I should have started with reading about Wall Street before investing but sometimes we don't know these things as we simply get started and ask questions later, a bit like life itself really. If you haven't read any books on investing then do read this one. A timeless classic as stated by other reviews and still has relevance but some of the younger generation might find some of the colloquialisms a little testy, although nothing a quick Google search wouldn't fix. It's funny, and I'm very tempted to ask my financial advisor, "Where's my yacht?" but like all the advice that tends to come from advisers the answer would simply be a well rehearsed response in changing the topic. A tad intellectual but holds the attention of anyone who likes dry wit, satire, and is rather cynical.